I’m continuing my series of posts about a new set of Cricut tools, the Scoring Wheel and Double Scoring Wheel. The Scoring Wheels make it faster, easier, and more precise to make folds and creases in your projects. Today, I’m sharing “before” and “after” pictures of cards I made without and with the Scoring Wheel. This post contains affiliate links. I may receive compensation (at no added cost to you) if you make a purchase using these links. This post is part of a series sponsored by Cricut, but all opinions and thoughts are my own. Last week, I introduced the Scoring Wheel and Double Scoring Wheel in this post. At the moment, they are available on HSN, if you’re ready to get your hands on a set. In today’s post, I’m focusing on the “single” or “standard” Scoring Wheel. Last week, I started the Paper Pineapple Vases project, which actually has such a cool shape that I decided not to put crochet flowers into it. I like the geometric look in the earthy color, don’t you? (Of course, you can put crochet or paper or whatever other type of handmade flowers you prefer inside your version.) This was my first single Scoring Wheel project. This week, I wanted to tackle another project with the single Scoring Wheel, which is ideal for scoring any relatively thin material, like paper (including construction paper, handmade paper, origami paper, pearl paper, and wrapping paper), cardstock (including glitter and corrugated cardstock), acetate, and vellum. I decided to make a card. Now, I know for people that are primarily paper crafters, a card is no big deal. (Kind of like a granny square for seasoned crocheters.) But my cards have never looked quite right. Here’s what I mean. I searched through the Ready-to-Make projects in Design Space until I found this Gettin’ Hitched card. I didn’t think my cousin’s husband-to-be would appreciate the ultra pink-ness of the version in Design Space, so in addition to white cardstock, I chose three neutral colors. Spoiler alert: I really like how this card turned out! Elmer’s Craft Bond Paper Craft Glue Gel, or any clear glue for paper. This project is very straightforward to make following the instructions in Design Space. The first mat is the card and Design Space will notify you which Scoring Wheel to use when you select materials, and when to change it out with the Premium Fine Point Blade. Once the card is cut, you may want to use your weeder to remove the hearts so you don’t accidentally tear your card. Follow the instructions for cutting the pieces on the other mats. Once everything is cut, fold the card along the (amazingly perfect and easy to fold) scoring line and start glueing! Other than the colors, the only change I made was not to use all the Gettin’ Hitched layers. One looked great to me, so I left it at that. I’m so excited to have a handmade card to include with my handmade gift to my cousin for her wedding! Tune in next week to find out more about the Scoring Wheels! I’m kicking off a series of posts about a new set of Cricut tools, the Scoring Wheel and Double Scoring Wheel, that will make it much easier (and more precise) to make folds in your projects. These Scoring Wheels can even turn a papercrafts newbie like me (or you?) into a pro! 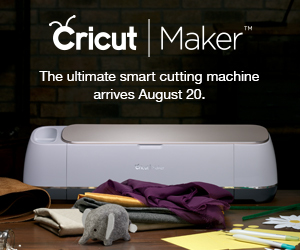 If you’ve been reading my blog for a while, you know that I’ve been pining for a Cricut Maker for almost a year. When Cricut offered me the opportunity to get a Cricut Maker AND try out its latest tools, the Scoring Wheel and Double Scoring Wheel, I knew I had to say yes. If you can believe it, I’ve been keeping this whole thing a secret since MAY (that’s two months, people!). I’m so excited to share the news about the Scoring Wheels today as the start to a three-part series about these new tools. The Scoring Wheel and Double Scoring Wheel are scoring tools for the Cricut Maker. Ok, that’s fascinating and all, but why would you want to use a Scoring Wheel? As the name suggests, it’s all about scoring. If you haven’t done much in the world of papercrafts, you may be wondering “What the heck IS scoring?” It’s the creation of fold lines that make it very easy to make boxes, accordion folds, and really, any other type of fold with a huge range of materials. Here are just a few of the Ready-to-Make projects in Cricut Design Space that require scoring. The main difference between the two Scoring Wheels is in the type of materials you can use with each one. The “standard” or “single” Scoring Wheel makes a single-line score, so it is best for thinner materials, like paper (including construction paper, handmade paper, origami paper, pearl paper, and wrapping paper), cardstock (including glitter and corrugated cardstock), acetate, and vellum. The Double Scoring Wheel makes a double-line score, so it is ideal for thicker materials that would otherwise be difficult to fold, such as heavy papers (like corrugated paper, watercolor paper, and sparkle paper), heavy cardstocks (like poster board, flat cardboard, kraft board, patterned glitter cardstock, or light chipboard), cork, and craft foam. If all of this sounds complicated, don’t worry! Cricut Design Space will let you know exactly which tool you need to use after you indicate what material you plan to cut. The Scoring Wheels have a small number etched on the side: 01 is the Scoring Wheel (since it makes a single-line score) and 02 is the Double Scoring Wheel (since it makes a double-line score). 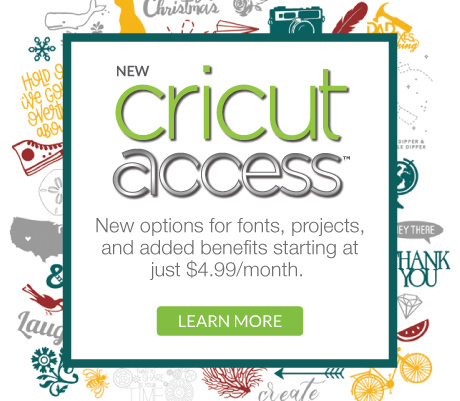 You can watch the Cricut special with Anna Griffin on HSN for more details. The Scoring Wheels aren’t for sale anywhere else yet, but you can read more about them on the Cricut blog here. Beacon Zip Dry, or any clear glue for paper. For best results with the Double Scoring Wheel, you should fold INTO the lines. Keep that in mind as you position your material on the cutting mat, since you’ll want the right side to face down. It turned out that it was a bit harder to photograph the scoring lines in Black (duh! ), so I also made a version in Natural. As you can see, the double scoring lines are very close together. This project was so easy to put together following the instructions in Design Space. The only change that I made was to make two boxes instead of three. Now to find a tiny gift to put inside each box! Once I used the Double Scoring Wheel, I decided to dive into a more complicated scoring project: the Paper Pineapple Vases Ready-to-Make project with the Scoring Wheel. This project cuts four vases – a small (about 3” tall), two medium (about 5” tall), and a large (about 10”). I recommend that you click on Customize first, even if you don’t plan to make any changes, so you can see which colors correspond to which sizes. Things get pretty confusing otherwise! I remembered that when cutting thinner materials, I should peel the mat away from the paper rather than peeling the paper from the mat, and so none of the pieces tore. They were super easy to fold along the score lines, too. Now to get assembling — and find something pretty to put into those vases. Tune in next week for the rest of this project and more about the Scoring Wheels!